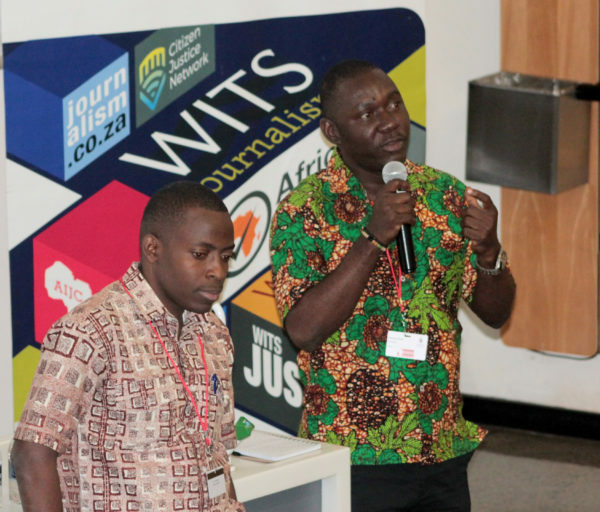 “The more we are the less vulnerable we are to harm from opposition.” So said Maxime Koami Domegni, an investigative journalist from Togo, speaking on Monday, October 29, on the impact of West Africa Leaks as an international collaboration, at the African Investigative Journalism Conference 2018 (AIJC18). West Africa Leaks is a collaboration of 13 journalists from 11 countries, the International Consortium of Investigative Journalists (ICIJ) and Cenozo: Investigative Reporting in West Africa, exploring 30 million records. ICIJ coordinator Will Fitzgibbon said the West Africa Leaks was the largest collaboration with the “driving force of combating corruption in the civil society, business corporations and in governments”. He said that the value of the collaboration was making investigative journalism open to more journalists and reframing the concept of “impact”. In doing so, “there can be continuous debate and on-going reporting of stories,” said Fitzgibbon. The West Africa Leaks is based on ensuring that “stories are original, local and hyperlocal and journalists from other countries can relate to them,” he continued. Journalists from different countries could have similar experiences, “even when working on separate issues”, said Domegni, agreeing with Fitzgibbon. Finally, the value of collaborations according to both Domegni and Fitzgibbon, is to improve reporting skills, share experiences and create a safe space for journalists.